We continue to profile a raft of research, initiatives, new standards, technologies and announcements being made around mid-rise construction and tall timber buildings. It’s good news for the industry, for the environment and of course, for wood. New Zealand is now finally starting to gain momentum after North America, Europe and Australia have led the way. Innovatek has run three very successful Changing Perceptions of Engineered Timber in Construction events in New Zealand showcasing the advances being made in this space to the country’s architects, engineers, developers, quantity surveyors and building consent officials. An ambitious and well-funded new programme was also launched late last year that’s aimed at boosting mid-rise building construction in New Zealand using engineered and panelised framing timber. And now, the first of NZ Wood’s design guides has just been launched. It’s one of a number being planned. It’s anticipated that this first booklet Design for Fire Safety will be complemented by numerous other guides which will be produced over the next 18 months. They’re aimed at promoting the uptake of prefabricated timber components and engineered wood products as well as helping medium-rise timber buildings to be confidently specified. Details of the release of subsequent guides will follow and will be available on the WPMA website. A number of forestry careers videos and links to videos with a careers component have also just been uploaded to the www.forestrycareers.nz website that we profiled in this newsletter a couple of weeks ago. They’ve also been built into the story below. These can be used on your own company and organisation’s website to direct enquiries relating to future career prospects in our industry. Information on a number of resources that can be used and ordered for local careers initiatives is expected to be uploaded onto the website in the next couple of weeks. This means a raft of modern eye-catching and up-to-date careers collateral including banners, artwork, brochures …can now be ordered for future school visits, careers days and expos up and down the country. This week unfortunately we had news of two well-known forestry identities that have passed away. 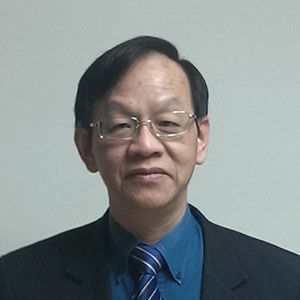 Thomas Song, the founding Managing Director of Ernslaw One, passed away following a sudden illness while on business in Malaysia. Thomas moved to New Zealand with his family from Sarawak in 1990 following the purchase of state forests by the Malaysian based Tiong family. Then through a succession of purchases and development of new forests, he built up Ernslaw One to become one of the largest forestry companies in New Zealand. In Australia, John Gay, the long-time former Managing Director of timber company Gunns, also recently passed away, aged 75. John rose from a humble sawmilling background and will be remembered for building the Tasmanian based company into one of the largest hard-wood sawmillers in the Southern Hemisphere. And finally, details on the eagerly awaited two-yearly tech update for sawmilling companies around the region have just been released. Most exhibition stands have already been taken up in both New Zealand and Australia. The line-up of technical and industry expertise being brought into the region is impressive. WoodTECH 2019 runs in Rotorua on 11-12 September and then again in Melbourne on 17-18 September. The programmes have just been added to the website. You can check them out now. Further details will be released and sent out to wood processing companies in upcoming weeks. That’s it for this week. 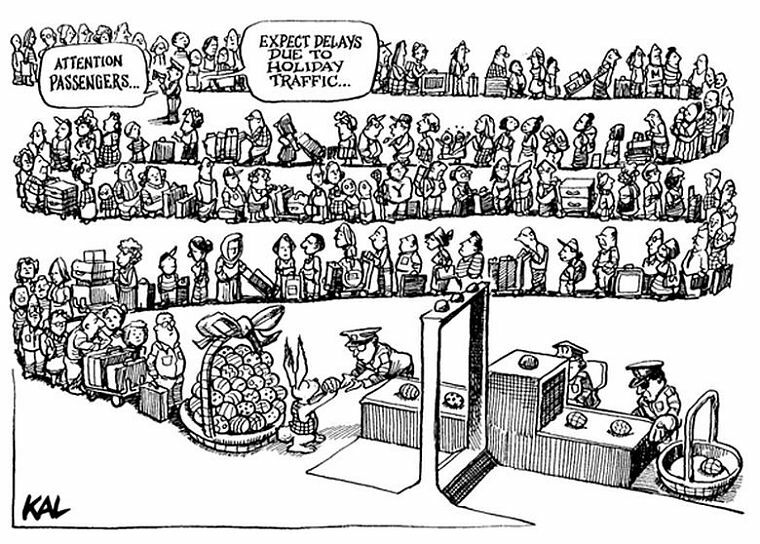 Enjoy your Easter break. ... and one to end the week on ... vagaries of the English language! The Chair of New Zealand’s Forest Growers Levy Trust, Geoff Thompson, says a positive vote in the current levy referendum is vital to maintain the support of government funding for the industry. Forest owners are currently voting whether to renew the Commodity Levies Act Order which expires later this year after operating for the past six years. Voting closes this Saturday, April 20th. Geoff Thompson says feedback from forest owners has been enthusiastic in support of renewing the order. “We’ve run meetings and conducted a formal survey of farm foresters’ opinions on how they regard the investment we’ve put mostly into forest research, but also harvest mechanisation, safety, industry recruitment, forest health and biosecurity. That feedback has been pretty keen. All we need now is the vote to support that enthusiasm.” Geoff Thompson says he is well aware of recent lack of support in other industries for a levy. He says the just announced partnership of levy funds with government support is a NZ$29 million example. Te Mahi Ngahere i te Ao Hurihuri – Forestry Work in the Modern Age Partnership is a project to bring automation and robot technology into tree felling and log handling, which anticipates saving harvest and transport supply chain costs by nearly NZ$10 a tonne by 2030. Eligibility to vote is restricted to anyone who owns at least four hectares of trees planted at least ten years ago. Geoff Thompson says this restriction is because those who would be paying the levy are the ones who have the right to vote for it. 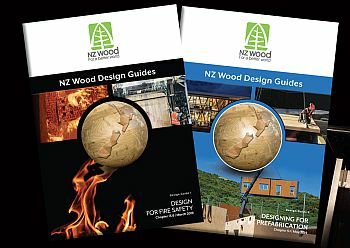 Following a one-day conference that discussed why wood manufacturing matters, especially in our regions, NZ Woods’ Timber Design Guide Manager Andy van Houtte launched “Design for Fire Safety,” the first of NZ Wood’s design guides in booklet form. The guides are aimed at architects, engineers, developers, quantity surveyors, building consent officials and other professionals to enable them to better understand the advantages of modern engineered wood products and timber systems, confident that recommendations are in line with all current applicable Standards. Mr van Houtte pointed out that the majority of New Zealand’s technical timber research organisations and developers had pooled their resources and expertise to produce these. The guides were originally envisioned as a series of five booklets but have become at least 54 (pending funding), expected to be rolled out over the next 18 months and funded by contributions from forestry, wood processing, research and timber technology groups. It’s hoped the guides will promote the uptake of prefabricated timber components and engineered wood products in New Zealand’s construction sector, and help medium-rise timber buildings to be confidently specified. This is an exciting time for timber, he believes. “Timber construction is becoming accepted for commercial and multi-storey buildings, and as a preferred material for prefabrication. Its seismic resilience properties are well proven, and it has strong environmental credentials. Timber expert Professor Andy Buchanan explained that these guides will update the more familiar “pink book” for engineering and architecture professionals, and will demonstrate the careful science behind the facts contained in the guides – which will be able to refute any spurious claims made by competing structural material proponents. Science proving timber’s increased resistance to fire is one reason the Fire Safety Guide was the first to be released. Second will be the “Designing for Prefabrication Guide,” expected to be available in May. Ultimately, Mr van Houtte would like to see a cloud-based, searchable library available through a dedicated timber design centre, although the guides will be available individually through www.wpma.org.nz in the meantime. Mark the dates into your diary – if you’re a sawmiller. Two years ago – over two weeks – the WoodTECH conference series run by the Forest Industry Engineering Association (FIEA) achieved a record turnout of sawmilling companies. They were drawn from throughout Australia and New Zealand. Over 400 delegates from all major sawmilling companies in the region in addition to leading technology providers from throughout Australasia, North America and Europe converged on Melbourne, Australia and Rotorua, New Zealand. Two years later, in September 2019, WoodTECH 2019 will again be attracting scanning, sawing, saw and mill maintenance technology specialists, innovators and leading practitioners from around the world to this region. 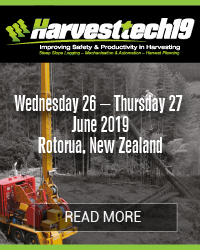 The two-day independent programme will again provide New Zealand and Australian sawmills a unique opportunity to learn about the very latest in technologies and operating practices from around the globe. “This will be achieved through a series of tailored presentations, practical workshops and on-site exhibitions that have been set up with industry”, says FIEA Director, Brent Apthorp. The two-day programmes have just been completed. They can now be viewed on the WoodTECH 2019 website. For ready reference, click here for the NZ Programme and Australian Programme. They run in Rotorua, New Zealand on 11-12 September and Melbourne, Australia on 17-18 September. USNR, USA/Canada, ScanMeg, Canada, Optimil Machinery, Canada, LMI Technologies, Sweden, Nicholson Manufacturing, Canada, JoeScan, USA, EWD/Linck, Germany, IWT-Moldrup Asia Pacific, Singapore, TS Manufacturing, Canada, SiCam Systems, Canada, GCAR Design, Canada, Lewis Controls, USA, Taqtile, Singapore, TimberSmart, NZ, Timberlink, Australia, Precision Machinery, Canada, Williams & White, Canada, Simonds International, USA, Winsaw Mill Services, NZ, Holtec, NZ, KeyKnife, Braford Industries, Australia, Andritz, NZ, ILS, NZ, Pacific Sawmill Engineering, NZ, Supply Services, NZ, High Duty Plastics, NZ, Modern Engineering, Australia, Thode Knife & Saw, NZ, Tui Technology, NZ, Checkmate Precision Cutting Tools, NZ, Saito, NZ, HewSaw, Australia, Stinger World, Australia, Automation & Electronics, NZ, AKE Sales Tech, Australia, Accurate Group, Australia, Indufor Asia Pacific, NZ, The Lean Hub, NZ. Further details on the tech series will follow. Registrations to both events in the series are now open and can be accessed via www.woodtech.events. 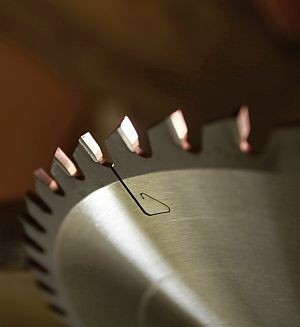 So, if you’re involved in sawmilling in either country, now’s the time to look at options to get your production teams through to either of the two major events being planned for September. 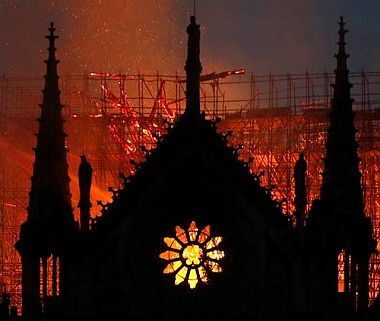 Some 400 firefighters rushed to save one of Europe’s great historical and architectural symbols. The blaze, the cause of which remains unknown, raged for 12 hours, toppling Notre Dame’s 13th Century center spire in the process. The Paris Police Force deemed it extinguished on Tuesday morning, noting that the stone structure of the cathedral had been saved. Since then, the impact of human activity on primary forests has only become more pronounced. Only 4% of Europe’s remaining woodland is primary forest, according to a study published last May, with none larger than 500 square kilometers outside of Russia or Northern Europe. It's likely that there will be a remembrance service for Thomas in Auckland in the near future. The Australian Forest Products Association (AFPA) yesterday launched ‘Growing Your Future’, a Federal Election Campaign targeted at planting more timber production trees in the right places and securing the future of native forest industries, Chief Executive Officer of AFPA, Mr Ross Hampton said today. “AFPA has developed ‘10 Actions for Growth’; policy requests totalling more than AU$80 million, designed at securing the long-term needs of Australia’s forest industries across the full value chain,” Mr Hampton said. The ‘10 Actions for Growth’ and underpinning policy ‘asks’ can be found the campaign website: growingyourfuture.com.au. “This suite of policies is designed to unleash growth across forest industries, from the businesses that grow and manage trees, to the processors of timber, pulp and paper manufacturers and emerging businesses in the bioenergy space. “Australia’s forest industries are responsible for 120,000 jobs across the full value chain, and are worth AU$24 billion to the Australian economy annually. It’s vital that politicians, candidates and political parties take notice of what our industries need. This applies especially to candidates in electorates where forest industries are prominent in the economy. “AFPA has developed electorate briefs, providing a snapshot of industries in individual electorates across Australia. They can be found here on the Growing Your Future Website. “We are launching this campaign in Tasmania today, because we recognise how vital forest industries are to Tasmanians and the state’s economy. A poll conducted earlier this week for AFPA, shows 8 in 10 voters in the electorate of Bass regard forest industries as either very important or important to the economy. “However, the Growing Your Future campaign is a national one, with billboards, advertising and advocacy across the country. It will also include a forest industries debate, in Launceston on 1 May. “I look forward to spending the next four and half weeks speaking to candidates, MPs and political parties, and convincing them to support our policies for growth,” Mr Hampton concluded. In the 29 March issue, we highlighted a new web portal - forestrycareers.nz – that had been launched in mid-March by the Forest Growers Levy Trust (FGLT). The portal is a comprehensive starting point for anyone in New Zealand interested in forestry education, training and careers. It’s also providing much needed information and directing users to other relevant websites and sources of information. A new generic forest careers and training video (see below) has just been produced to go with the other resources that have just been developed and can be used by forestry companies, industry associations, training and careers advisors and Wood Councils. For your information and use, the Forest Owners Association have also provided other links, YouTube editions of the television commercials that are currently being run on TVNZ, some with a training and careers component. 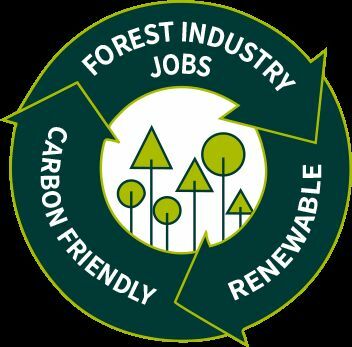 Also, see also the forest career profile videos, under ‘Industry Videos’ at; http://nzfoa.org.nz/ Please go to https://www.forestrycareers.nz/resources-2/ to download these videos for use. Murdoch University scientists say parts of our climate change impacted forests may never be the same again. Hounded in the last decade by increasing frequencies of drought, heatwaves, insect pests, disease and fire, trees are often more dead than alive with their regrowth vulnerable to further climate change-caused impacts, the researchers say. In a series of papers, the researchers have examined the recovery of the Northern Jarrah Forest in South-West Australia following the drought and heatwaves of 2010-11. Around 16,000 hectares suddenly collapsed after the disturbances. They found that many of the jarrah and marri trees affected underwent a profound structural change when they began to regrow, from tall open stands, to short, multi-stemmed individuals with large dead trunks standing over the regrowth. These younger, shorter trees are far more vulnerable to the impacts of climate change, especially increased fire threat because of their thin bark and inability to resprout, the scientists say. In the latest published work, the scientists found that the dead trunks represented a significant carbon loss and it was unlikely impacted areas of the forest would regain their carbon storage in the future. Forests play an integral role in the carbon cycle, absorbing approximately one-third of the carbon dioxide released from burning fossil fuels every year. 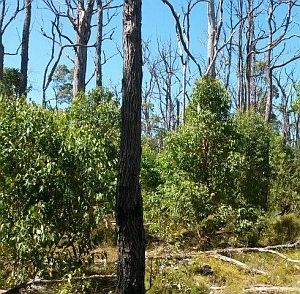 Researcher Lewis Walden said the team visited areas of forest from Brookton Highway to Dwellingup five times over the course of two years to document regrowth and measure dead and live pools of carbon, finding encouraging signs of recovery. “But many of the stands that experienced die off are likely to be burnt by either wild fire or planned burns before they have completely recovered, so it’s unlikely these areas of the Northern Jarrah Forest will regain or increase their carbon storage,” Mr Walden said. Researcher Dr Joe Fontaine said the Northern Jarrah Forest was fighting back, but it may not get the time it needs to fully recover. “We want resilient forests for many reasons, not least to continue to mitigate climate change,” he said. “But the next die off caused by heatwaves or fire could make the full recovery of some sections of forest unlikely - research is showing that such disturbances are occurring more frequently in our changing climate. Unfortunately, there will be no silver bullet to ‘save’ our forests from climate change impacts. 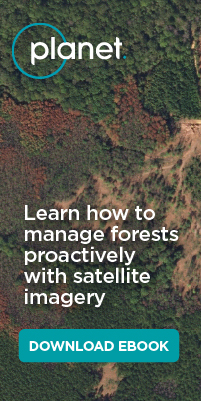 But by understanding the complexities of the forest, we can help to inform management practices that helps to retain our south-western forests for future generations. In a statement issued before the federal election, 23 former emergency services leaders and senior personnel have called on both major parties to recognise the need for “national firefighting assets”, including large aircraft, to deal with the scale of the threat. Australia’s emergency resources were still equipped for “what was happening in the 1970s to the 1990s”. 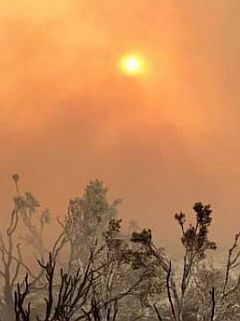 Last year, in Australia alone, the NSW fire season began in early August, a heatwave led to fires in rainforest areas of Queensland in early December, and forest in Tasmania’s world heritage area caught fire in January, Australia’s hottest month on record. “We know the problem, and the only way to get politicians to do something about these things is put their jobs on the line” Bibby said. “An additional concern was that Australia relied so heavily on volunteers during natural disasters. As extreme weather becomes more frequent, and fire seasons longer, that would put strain on the system and volunteers helping their communities were at risk of burnout”. There needed to be a review of the methods used to tackle large fires, cyclones and floods that was backed by research from experienced people working on the ground. “We’re doing the same old things when things are getting worse. We need to find new ways to tackle this problem,” Bibby said. 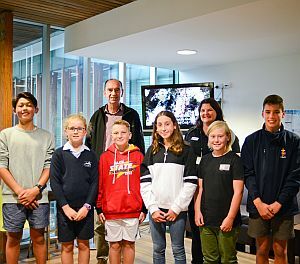 The videos are in, the votes have been counted and it is fair to say there are some very talented young people across the Limestone Coast, South Australia who just love forests! A Kawerau saw miller has signed a deal with a Saudi Arabian customer to more than double its exports to the Middle East country and potentially ship around 1500 containers of processed wood products annually, its chief says. David Turner, executive director of Tauranga-headquartered Sequal Lumber, said the "significant" deal could result in that business vastly increasing its exports to the Middle East country and the world's largest oil exporter. But he emphasised arrangements were at a very early stage and he could not name the customer due to commercial sensitivities. "We have exported into Saudi Arabia for some time and been working the New Zealand Trade and Enterprise who have introduced us to a lot more customers around the globe and in particular in Saudi Arabia," Turner said. "This new customer could take around 1500 container loads of timber annually which would more than double the amount we send there," he said. The deal was signed in November and would move to its next level this year. "Our first trial shipments were in January and since then, the relationship has grown and I've arranged to meet the CEO in Germany in May. Now, we take the base relationship and build on it," Turner said. More >>. Australia’s only local office paper manufacturer has welcomed the decision by the Minister for Industry, Science & Technology to accept the Anti-Dumping Commission’s (ADC) final recommendations relating to the dumping of A4 copy paper in the Australian market. The ADC confirmed that Finnish, Russian, Korean and Slovakian exporters of A4 copy paper have been selling dumped paper into Australia. “The Australian copy paper market has been impacted for a number of years by the importation of dumped product that not only puts Australian jobs at risk but brings into question the social responsibility of parties engaged in this activity. The ADC’s findings are an opportunity to restore fairness to the market enabling Australian Paper’s continued investment in the future of Latrobe Valley manufacturing,” Mr Williams said. 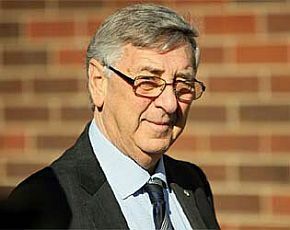 John Gay, the long-time former managing director of timber company Gunns, has died aged 75. John was born into a third-generation sawmilling family in Deloraine in 1943. After attending boarding school in Hobart, he went to work at his father's sawmill at the age of 15. He was operating his own mills at Oatlands and Bridgewater by the age of 21. Mr Gay joined Gunns in 1974 to manage its Waverley and Summerhill plants. A decade later he was Managing Director of the publicly listed company. Under the direction of Mr Gay, Gunns exploded onto world markets in 2000, with takeovers of the state's biggest woodchip company, North Forest Products and Boral's forestry division. It doubled the size of the company and made it one of the largest hardwood sawmillers in the Southern Hemisphere. Former Tasmanian premier Robin Gray said his friend of 54 years had been a great Tasmanian who would be missed. "He made a great contribution to our state, and a great contribution to northern Tasmania," Mr Gray said. “He worked hard to look after his employees, to create jobs, to create economic wellbeing, and to manage the forest industries that he was responsible for in the best way. We will miss John, the likes of him probably won't be seen again in the north of Tasmania." And a few more before you head away for your Easter break. Ever wonder why the word funeral starts with FUN? And on that note, enjoy your long Easter weekend. Cheers.